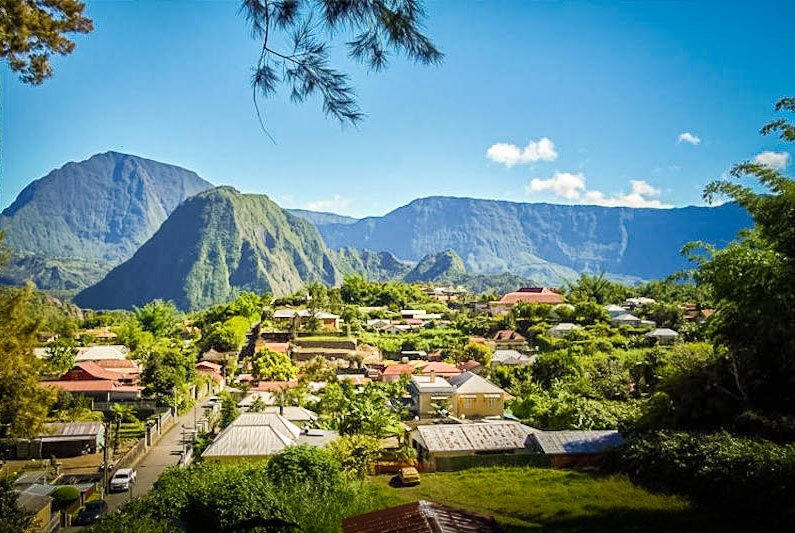 What to do in Reunion Island? Do you want to visit Reunion? It is an excellent idea ! “The Intense Island”, as it is called, is so aptly named that it is full of activities and sites to visit. Reunion is a beautiful island, with unspoiled nature, the exceptional natural sites varied and spectacular terrain. Between valleys and mountains, ocean and volcano, your trip to Reunion promises an unforgettable holiday. To help you see more clearly and organize your holidays, I have prepared a list of 20 places of interest to see on the island of Reunion. The Piton de la Fournaise to Iron Hole cascades through the Salazie, Mafate and Cilaos, Reunion is a paradise for hikers. But it is also possible to spend moments of relaxation and stroll on the beaches of Boucan Canot, the Hermitage, or Cap Méchant. So what to do on the island of Reunion? Where to go? Discover now, our selection of the most beautiful places! We start this top with a classic: Piton de la Fournaise. 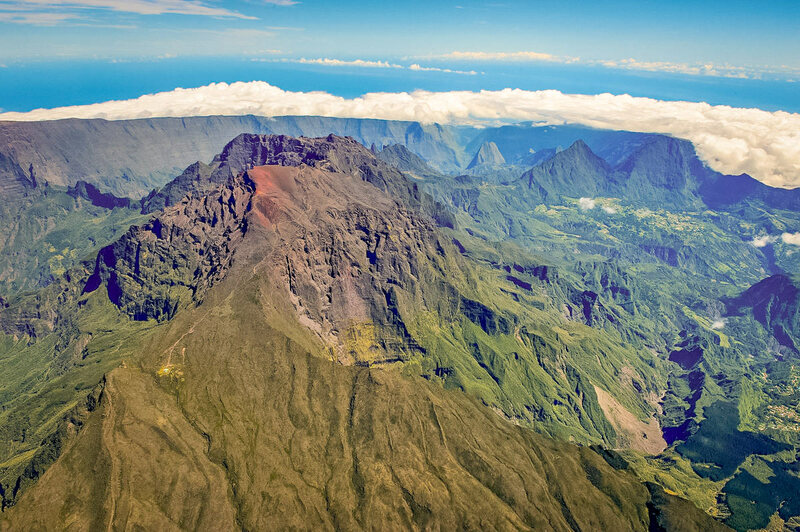 From its 2,632 meter high, this volcano still in activityis the main tourist attraction of the south-east of the island of Reunion. 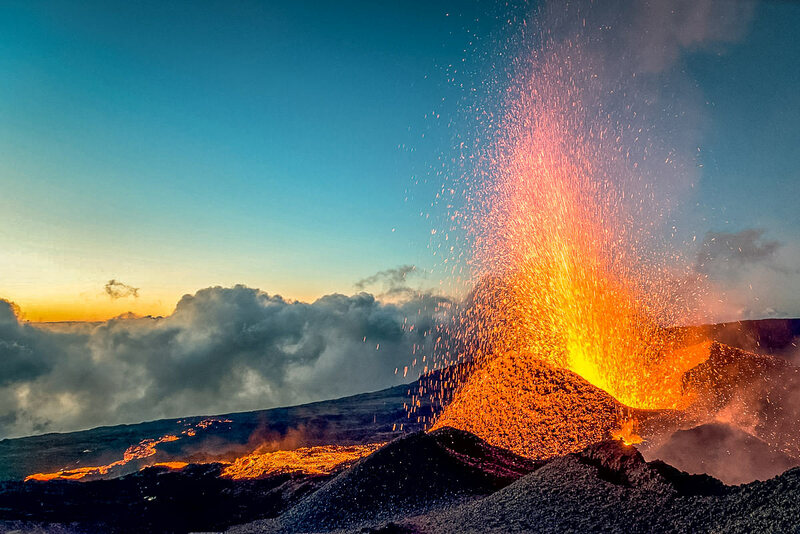 The excursion to the volcano – whether it is erupting or not at the time of your trip – is an activity to do in Reunion Island. I will not hide it, it was one of the visits I preferred during my stay at the meeting! The change of scenery is total. To get there you will have to rent a car , then you will have to go through Le Tampon then the Plaine des Cafres. After crossing several villages, you will arrive at the Volcano House, the starting point of the car climb to the summit. An alternative is to bypass the volcano from the south by taking the N2 to admire the other side and walk on dry lava (but on this side you can not climb to the top). The road that leads to the summit of Piton de la Fournaise is simply breathtaking. If you decide to drive, count at least one full afternoon, or a day for the round trip. And yes, if you’re like me, photo stops will be common! The peculiarity of this road is the succession of very different landscapes that scroll as you climb. The meadows suddenly give way to landscapes of tundra, then desert, until the sumptuous Plaine des Sables. This lunar landscape that suddenly appears at the turn of a bend is impressive! The viewpoint overlooking the Plaine des Sables also deserves a stop: it’s like being on another planet! After crossing the Plaine des Sables, you will arrive at the Pas de Bellecombe, a sort of open-air balcony in front of the enclosure that surrounds the Piton, and which gives a superb view of the volcano and several small craters. This is where people usually park because it is the starting point for many hikes. If the volcano erupts during your stay at the meeting, the enclosure will be closed but you can walk around it to see the lava flows cool. If the volcano is inactive, it is possible to enter the enclosure and walk around it in about 4 hours. For adventurers, it is also possible to walk all the way from the volcano’s house down in several days, and camp or sleep in hostels and campsites along the way. Another very nice activity that I recommend you do is go explore the lava tunnels of Piton de la Fournaise. The tours of about 2 to 3 hours are organized in the heart of the volcano to discover a wonderful underground show ! A unique experience to do on the island of Reunion. If the Piton de la Fournaise is erupting, I advise you to go there at night: I was lucky to be there during an eruption and it’s a magical show! As you know, Reunion is a volcanic island. Several old collapsed volcanoes have left huge “holes” surrounded by mountains, so-called “circuses”. 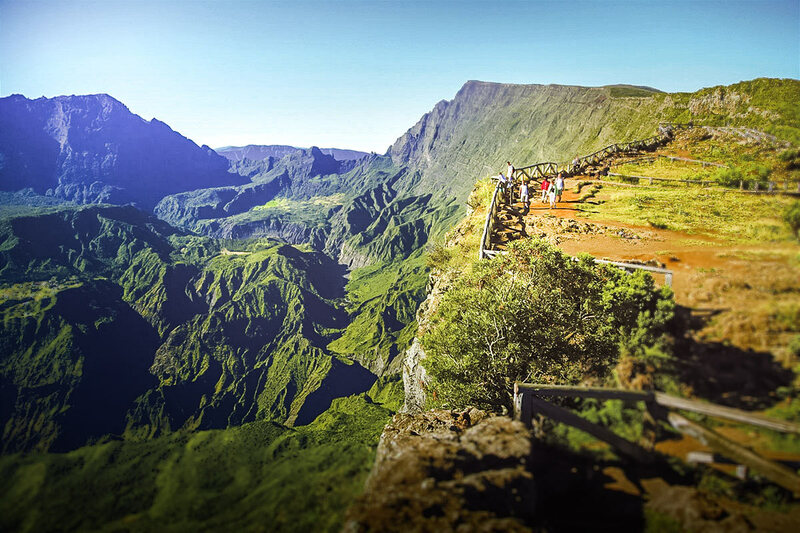 They are of course some of the must-see sites to see during your tour on the island of Reunion. The circus of Mafate is one of the 3 circuses of Reunion. It is the most remote and the most isolated of the 3. There is no road leading to the interior of the circus and the inhabitants are regularly supplied by helicopter. To get there, you will have to go through the air, or take the hiking trails. The story of this circus is rather dark since it was a place of refuge for escaped slaves. Today, it is a very popular place for tourists. It has a unique atmosphere, a beautiful wilderness and is the perfect place for hiking. 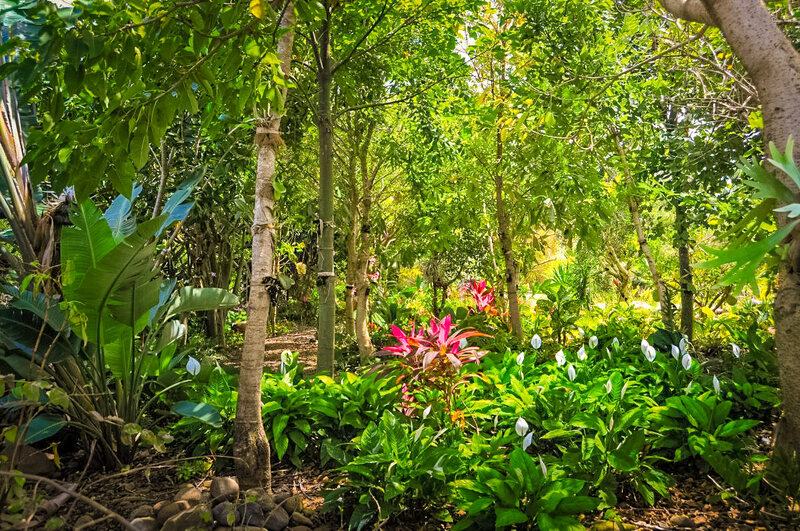 At Mafate we feel cut off from the world and immersed in nature. No hotels, no banks, no roads … but exceptional landscapes and 140 km of trails to go. You can camp on site because there are many cottages for hikers who leave for several days of walking. Provide warm, waterproof clothing as the site is high and cold. Do not miss the summit of Maïdo, one of the most famous and impressive views of the island. The pace of life in Reunion is a little different from ours (in summer) because the sun goes down very early all year in this part of the world. It will be necessary to plan outings early in the morning because at 17h or 18h (depending on the season) it is already dark night. So be careful if you plan a hike to take into account this factor. The cirque of Cilaos is about 1200 meters above sea level. This is the second circus not to be missed in Reunion. Unlike Mafate, there is a single road that leads to the interior of Cilaos and this circus is therefore easier to access. Be careful of tight turns, sometimes vertiginous, tunnels and very steep slopes during the ascent by car! It’s not for nothing that we call it the 400-turn road. The cars that go down have moreover a tendency to roll fast enough, the prudence and the concentration are therefore necessary during the ascent until the entrance of the circus. It takes about 1h30 drive from Saint Louis to reach Cilaos. Once inside the circus, you will discover a charming village with several shops, a spa and even a school. Go through the tourist office to get the map of hiking trails to do. Once again, when you come to Cilaos it is of course to walk! On the local folklore side, Cilaos is also famous for its delicious lentils (at 10 euros per 500 g pack …!) And itsvery strong red wine that is very (too much) sweet. This is an opportunity to taste or bring back to family or friends! Not to be missed: the panoramic view of Cilaos from La Roche Marvelous. I advise you to rent a car for the time of your stay because even if the island is quite small, there are many reliefs and distances are sometimes long. You will not be dependent on schedules to go hiking early in the morning and especially some sites are not served by buses! 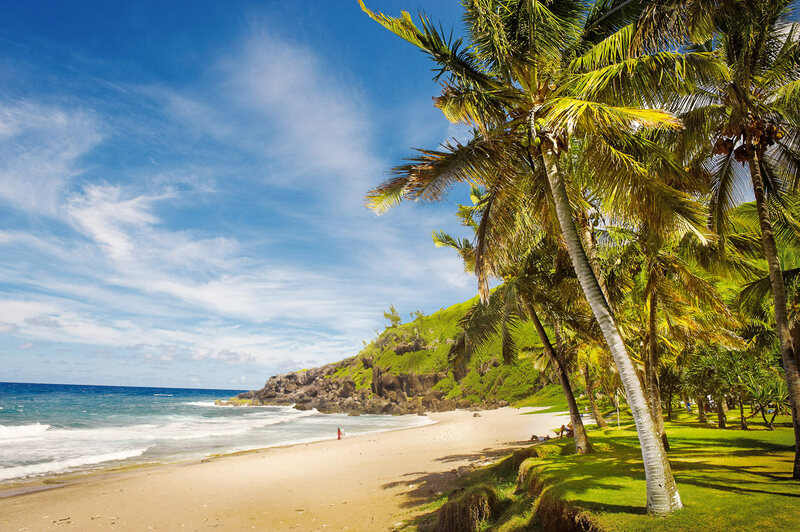 The beach of Grande Anse is one of the most attractive of the island of Reunion. It is located to the south, very close to the city of Saint Joseph. It is a beautiful U-shaped beach, hence its name, with white and black sand, derived from volcanic rock. Do not go to Grande Anse in order to swim because, as for most beaches in Reunion, swimming is prohibited because of sharks. It is an ideal place to rest, to tan, to sleep under the coconut palms, to have a picnic, to stroll … and to admire the landscape. Stopping at Grande Anse beach can also be a good idea to make a stop on your road-trip on the coastal road (N2) towards the lava flows of Piton de la Fournaise or Anse des Cascades . It is the most famous waterfall of the island and it is one of the most beautiful places to see in Reunion. According to legend, a bride would have fallen into a precipice and her veil would have hung on a cornice, forming this waterfall. The Veil of the Bride is located in the heart of the Salazie circus and flows into the Mast River. The waterfall is really impressive, with its 20 meters high and 100 meters wide. It is also visible from the road of Hell Bourg, towards Salazie. You will have a view from the road on the Veil of the Bride and several other small waterfalls around. If you are in Salazie, you can also reach the Bride’s Veil by a hiking trail and swim in its pool. To access the waterfall from the village of Salazie, go to the car park near the bus stop named “Château d’Eau”. A sign indicates the direction of the hike. I advise you to provide waterproof shoes because you will have to cross the bed of the river several times. Allow about 1h30 to go round trip. The Piton des Neiges has a bad name: no eternal snow at its summit, and very rarely a few snowfalls. It is in any case the highest peak of the Indian Ocean (over 3000 m altitude) and one of the most famous volcanoes of Reunion. 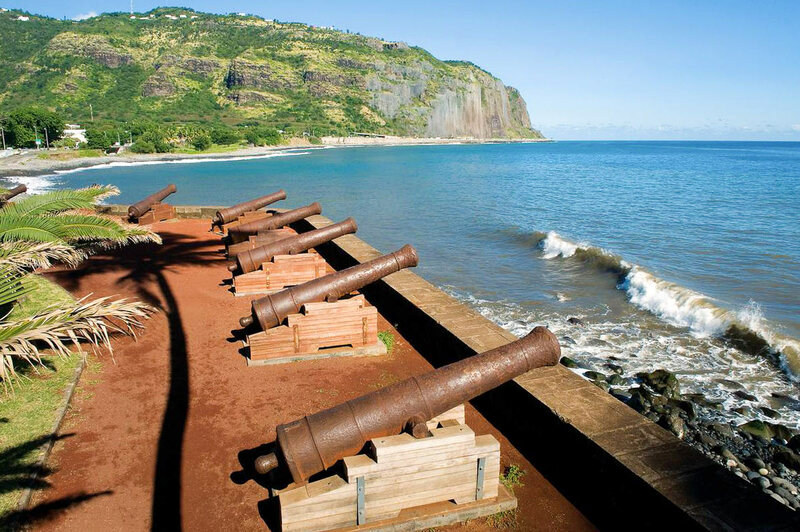 Located in the center of the island, the Piton des Neiges dominates the circus of Cilaos. You can admire it from the village and the surrounding trails. This mythical volcano is at the origin of the creation of 2/3 of the island more than 3 million years ago. Long asleep, the Piton des Neiges is today a paradise for hikers. So you will stop the first night at the lodging of Piton, also called the refuge of the Cave Dufour. After a good night’s sleep (place in dormitory to book in advance of course), you leave early in the morning to the summit that you reach quickly. At the top, you’ll be rewarded for your efforts and get up at dawn with a glorious sunrise and 360-degree views of most of the island. Plan warm clothes (around 0 ° C at the top), good shoes, water and be in good physical condition to start this climb, because it’s quite difficult (but it’s worth it!) . Another site where you can hike in Reunion: Maïdo. The Piton Maïdo culminates at 2200 meters of altitude, it is the most spectacular point of view on the circus of Mafate. At the top, one discovers a panoramic sight on the whole of the circus and on all the west coast of Reunion. The circus of Mafate is quite difficult to access, if you do not plan to go during your stay, the view from the Piton Maïdo is a good alternative to discover the circus from another perspective. The ascent to the top of Maïdo is feasible from Mafate but it is also accessible by car from Hauts de Saint Gilles (west coast). There is a large car park (often crowded) that allows parking at the top, near the belvedere. The Maïdo is also the starting point for many hikes, especially to Mafate or to the mountain of Grand Bénare. The different starting points of the trails are about 1800 meters down from the top of Maïdo. The shuttle for removal and return recovered walkers several times a day (time to consult on site). I recommend you to go to the top of Maïdo early in the morning to have a clear view. The little extra: leave at dawn and see the sun rise from the top of Maïdo: a magnificent sight! The region of Saint Gilles les Bains is home to many of the most beautiful beaches on the island of Reunion, and the Hermitage beach (also written Hermitage) is one of them. It is a long and pretty beach bordered by filao trees, with white sand and translucent waters. A postcard decor that will appeal to fans of swimming, sunbathing and idleness. This beach is protected by the barrier of coral so you can swim safely, and the water is not very deep, which is perfect for children. Several restaurants, cafes and shops line the beach. If you want to spend a day rest at the sea during your stay in Reunion, this is the place. Reunionese are used to come for lunch and spend the day at the beach on weekends. On Sunday, the beaches of the island are always crowded so if you want peace, prefer the week. 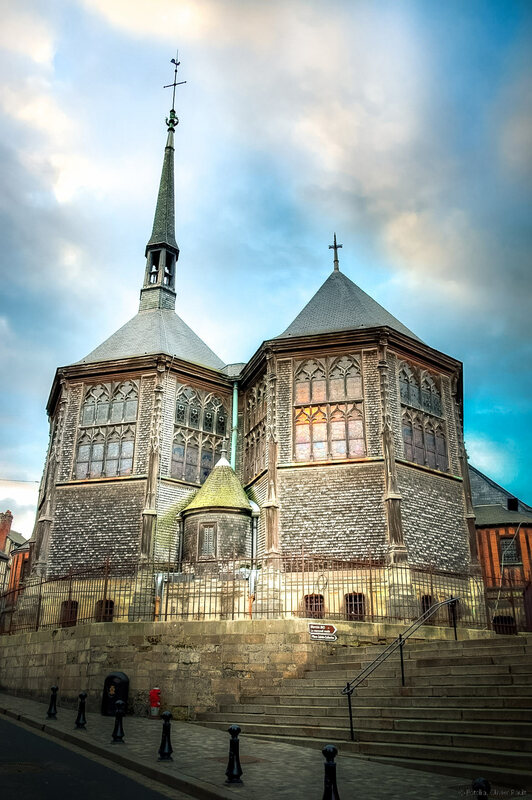 St. Peter’s is a beautiful town in the south of the island, and worth a visit for a day. 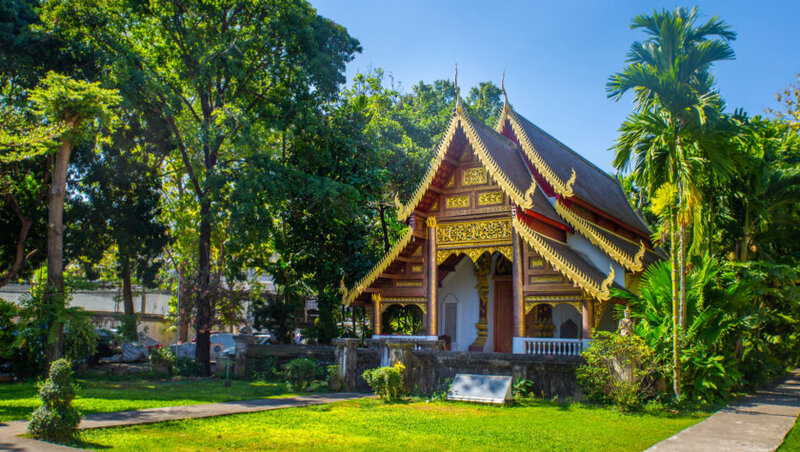 In addition to the typical colonial architecture of Reunion and the many buildings to admire, the Saturday morning market also promises to have a good time. 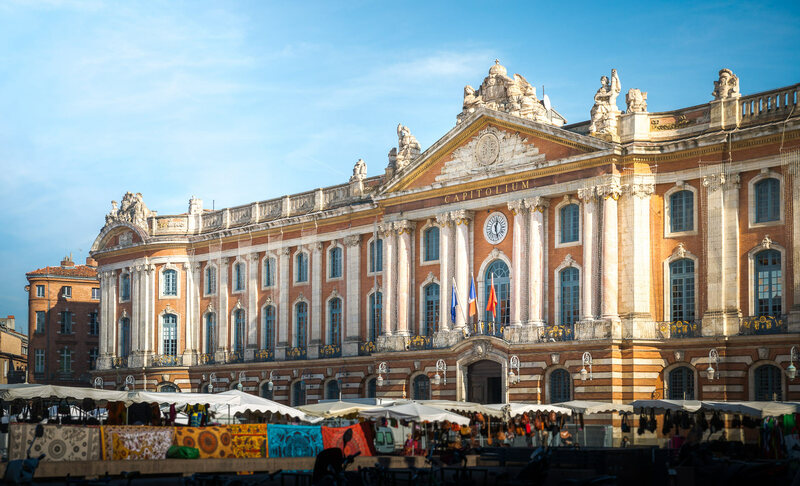 the Saint Pierre market, one of the most beautiful markets in France. Open every Saturday morning. the Creole Botanical Garden of Café Grillé (I suggest you take a guided tour and taste the cocktails at the café). 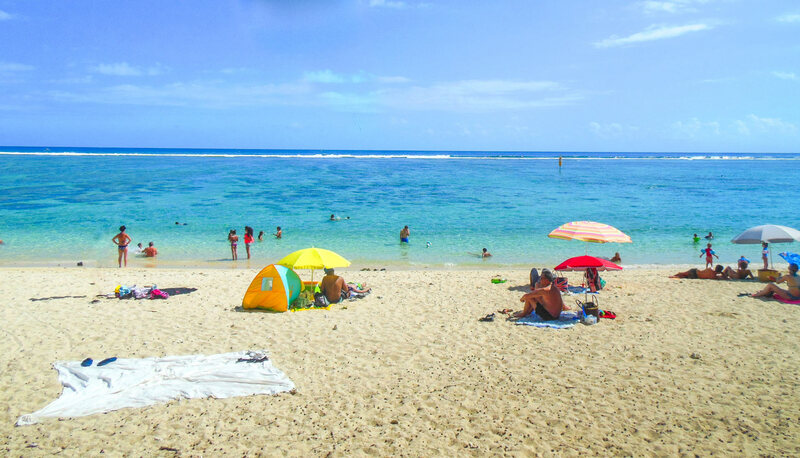 It is the most trendy beach on the island of Reunion. 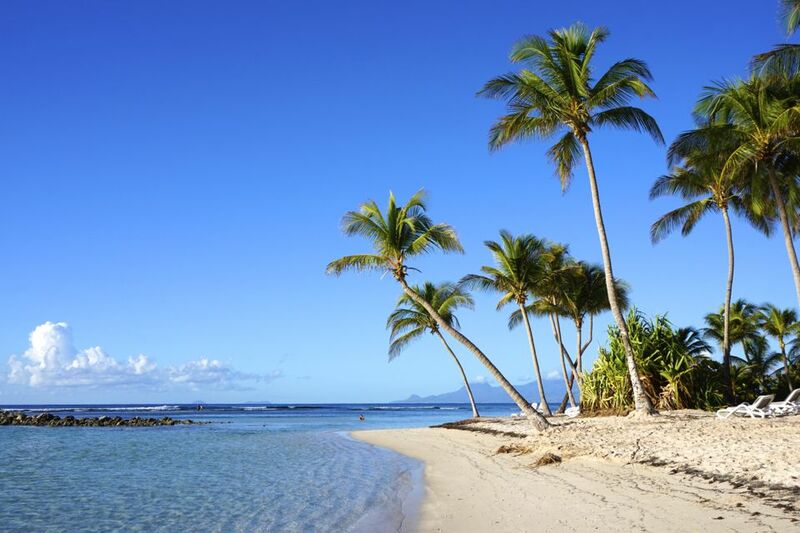 Located north of Saint-Gilles, it is a very beautiful and wide beach of white sand, very lively. Swimming is sometimes allowed but the currents are quite strong and the sea is deep, so be careful and watch the flags and safety instructions. In recent months, the shark net is not operational and swimming is not allowed. To see if it changed during your stay. It is still possible to swim at the natural pool formed by volcanic rocks because it is secure. Watch out for children anyway as the waves sometimes go over the rocks. In short, you will understand, we do not go to Boucan Canot especially for swimming, but to spend a quiet day by the sea, rest, stroll, walk on the sand and eat good things. The many shops, cafes, snacks and restaurants make it possible to spend a good day, or a relaxing evening, at the edge of the water facing a sublime landscape. If you are looking for something to do in Reunion Island, I recommend you to visit the Gouffre d’Etang Salé. Etang Salé is a small town on the southwest coast of the island, between Saint-Leu and Saint-Louis. There is a very nice walk to this side, along the cliffs and from the parking Gouffre. The Gouffre d’Etang Salé is an impressive and very narrow precipice in which the waves of the ocean are rushing and smashing violently. The site of the Gouffre is indicated by signs from the main road of Etang Salé. It is also possible to go by bike along the cycle paths. Once parked in the car park, you will find about ten kilometers the famous gulf, whose access is protected by wooden barriers. This is a place where suicides are common, hence the many bouquets of flowers, photos and other candles that you can see in front … Ambiance! Apart from this slightly macabre side, the movement of the waves is really magical to observe, especially when the sea is unleashed, and it is easy to spend several minutes hypnotized. You can then go to the left and follow the black cliffs (without approaching the edge) for several kilometers, towards the Etang du Gol. We walk along the path, we pass under the casuarinas and suddenly, after a bend, we discover an impressive landscape of totems pebbles, made by walkers for years. It stretches for hundreds of meters. Do not approach the edge of the cliffs during the ride, the waves are sometimes violent and fatal accidents are common. Stay on the trail (which is very wide) and everything will be fine. 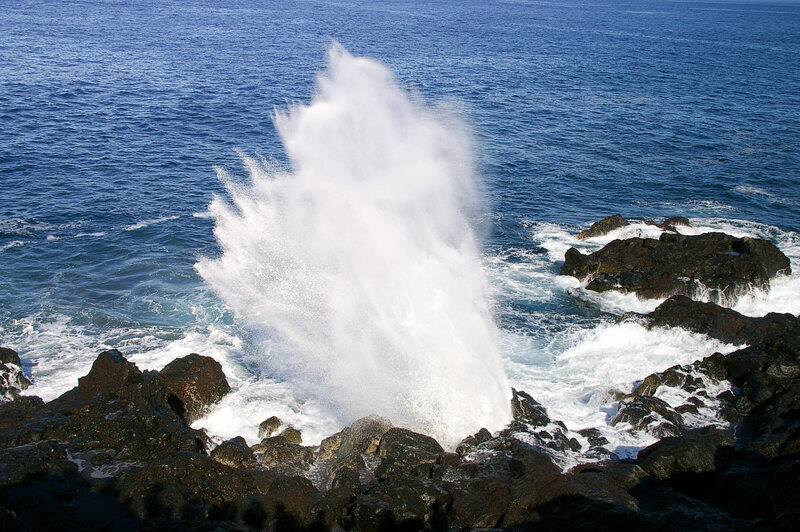 Before arriving at the parking Gouffre, on the road between Saint-Leu and the salt pond, make a stop to go to see “The Souffleur”, a spray jet rising several meters in the air. A very famous natural phenomenon on the island of Reunion. The Bébour forest is right in the center of Reunion Island, in the Plaine des Palmistes. 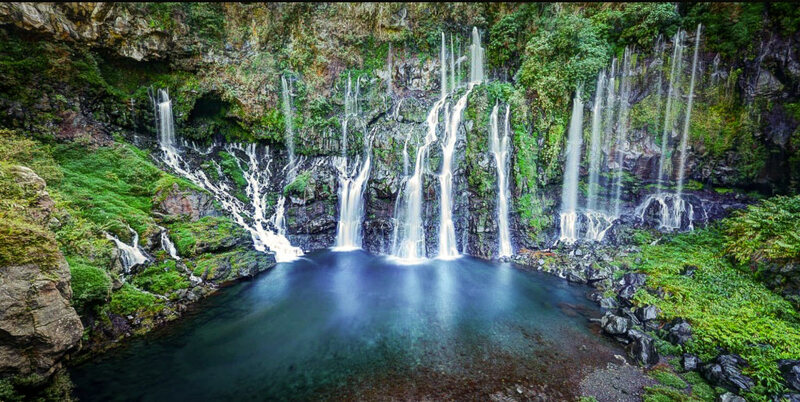 It is one of the most beautiful and vast forests of Reunion, and it is an ideal place for hiking, picnics, and family outings for a pleasant and relaxing time. You live in a dense primary forest and discover endemic flora Reunion. Throughout the ride, we are enveloped by many different flavors, it is really refreshing. The site offers several hiking trails accessible to all. Count around 4 hours of walk to have a good overview by walking quietly and making several stops. It’s raining often in this part of the island. We must therefore provide rain gear, suitable shoes and of course the mosquito lotion. 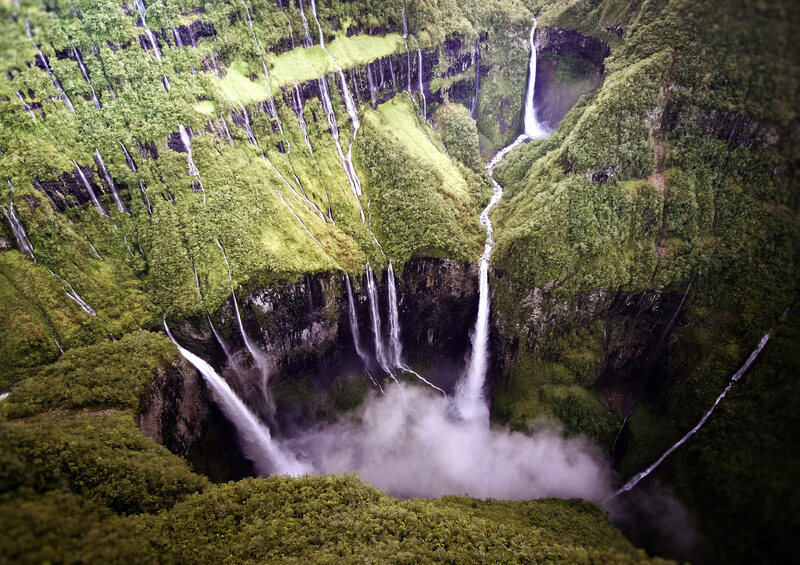 They are nicknamed the Niagara Falls of Reunion, waterfalls are must see during your trip. The Iron Hole is the name given to this geological depression which forms a chasm with a depth of 300 meters and into which flows several streams that then form these beautiful falls. The view of this set of waterfalls is accessible from the cottage Belouve, located in the forest of Bébour. We leave his car on the parking lot of the house and we follow the track of Allée Cavalière. I advise you to avoid the direction of the indicated path “Trou de Fer” because it is extremely muddy most of the year! What I recommend is therefore to follow the Alley Cavaliere, to pass the Queen of Tamarins, an imposing tree lying, then continue on the same path ignoring the panel “Iron Hole”. It’s a little detour but at least you will not arrive at the pants full of slush to the knees. Arrived at Belvedere du Trou de Fer, you will enjoy a magnificent view of the falls. It takes approximately 4 hours of walk back and forth. The circus of Salazie is the 3rd circus not to be missed in Reunion, and, as for the other two, it is a paradise for hikers. It is located in the heart of the island and is dominated by the waterfall of the Veil of the Bride. This circus promises you beautiful hikes to do over several days, in the countryside. The best way to fully experience is to plan one or more nights in the gites, and to spend 2, 3, 4 days or more on the trails. Salazie is the “wettest” circus of the three with its many waterfalls and rainfall that allow to grow watercress and darling (also known as christophine vegetable). Unlike Mafate, the Salazie circus is easily accessible by car. To get there, take the RD48 from Saint André towards Salazie. It’s quite fast since it takes only 20 minutes to get to the village. But the road that leads to it is so beautiful that it is essential to make stops to admire the gorges covered with vegetation and the many waterfalls visible from the road. The visit of the village of Salazie is to do, you can see authentic boxes and Creole gardens, among the beautiful of the whole island. The village of Hell Bourg, one of the most beautiful villages in France, is also worth a visit. The Cascades Cove is a relaxing place to walk and spend a nice day between waterfalls and ocean. Located in the south-east of the island near the town of Sainte Rose , the Cascades Cove features a wild beach, a small harbor and several waterfalls. Several trails allow you to go around and reach the village of Piton Sainte Rose in 2 hours of walking. There are also several picnic areas. You move in a wild nature, by the sea, soothed by the sound of waterfalls. I spent a whole afternoon there and it is really a beautiful and rejuvenating place. 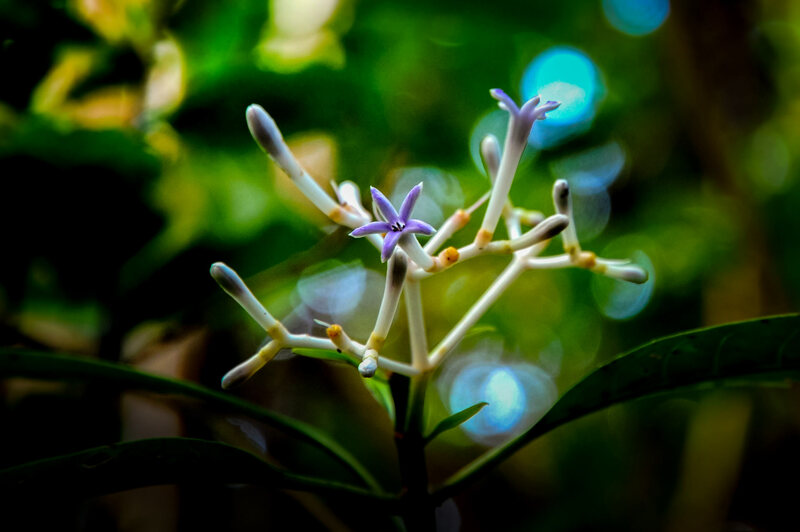 Do not miss the visit of the botanical garden and its endemic plants. Note: The storm Fakir has seriously damaged the site which is closed since the end of April 2018. Work is in progress and the site should reopen in the year, to check at the time of your stay. Saint Gilles les Bains is a seaside resort and port city located on the west coast of the island. 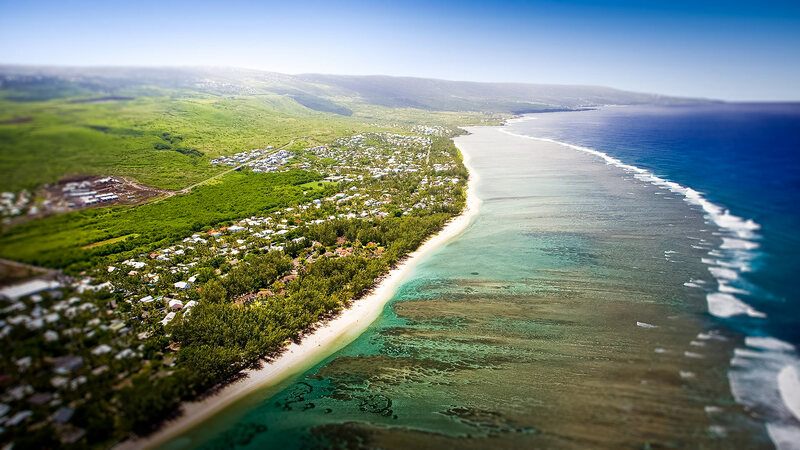 It is the region of the most beautiful beaches of Reunion, including the beach of Roches Noires and the beach of the Hermitage. Many water activities are offered. It is the ideal place in Reunion to go out to party. There are many restaurants, bars, pubs and discos to have fun. the basin of the egrets and its natural pool fed by a waterfall. This beautiful village is part of the town of Salazie. It is located inside the circus of the same name, in the Hauts de la Réunion, in the heart of the island. The village of Hell Bourg is built in the heart of the rainforest, around several hot springs. 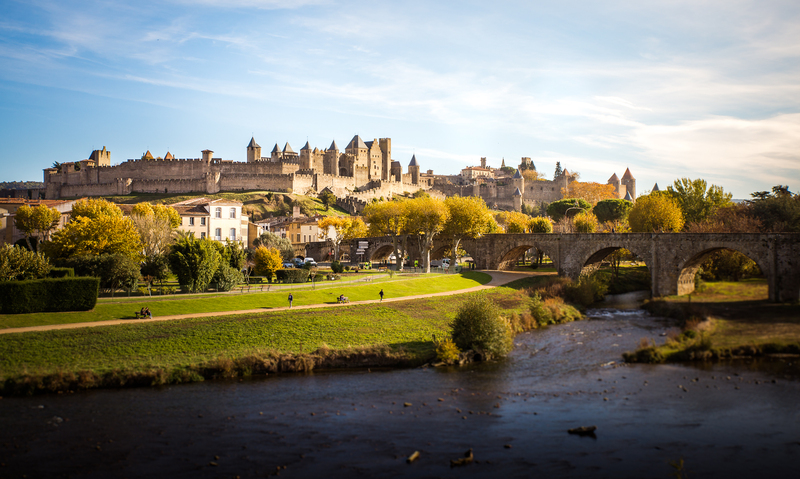 It is labeled the most beautiful village in France, thanks to its picturesque streets, its flowery cemetery and its houses dating from the 19th century. visit the Morange house in the center of the village. It is the museum of music and instruments of the Indian Ocean, one of the richest museums in France. Cap Méchant is located on the south coast, in Saint Philippe. It is a popular natural site, with its black cliffs, its green nature and its raging sea. His name of Cap Méchant was given to him because of the very powerful swell in this corner of the island. The waves almost constantly hit the lava cliffs dramatically. I advise you to spend a day there, it is a peaceful place and the landscapes are really exceptional. 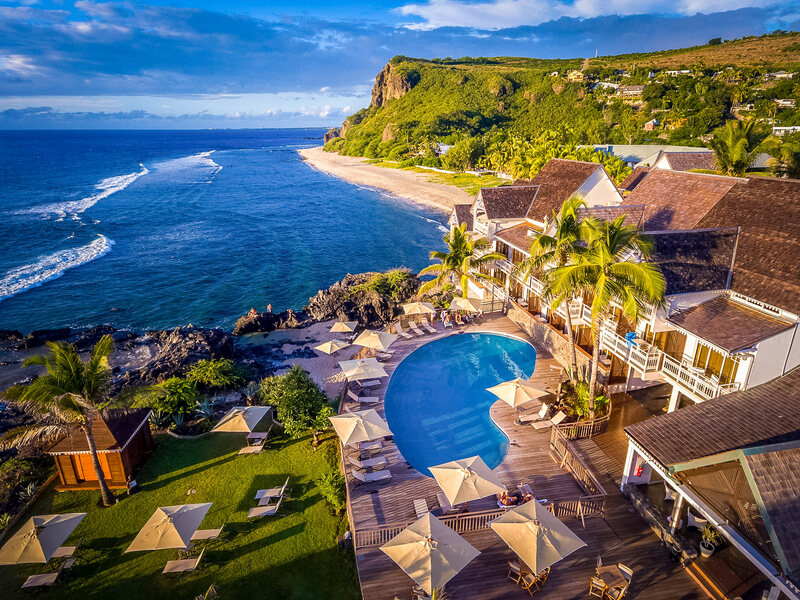 What to do in Cap Méchant, on the island of Reunion? To get to Cap Méchant, take the RN2 west of Saint Philippe (it is very well signposted). 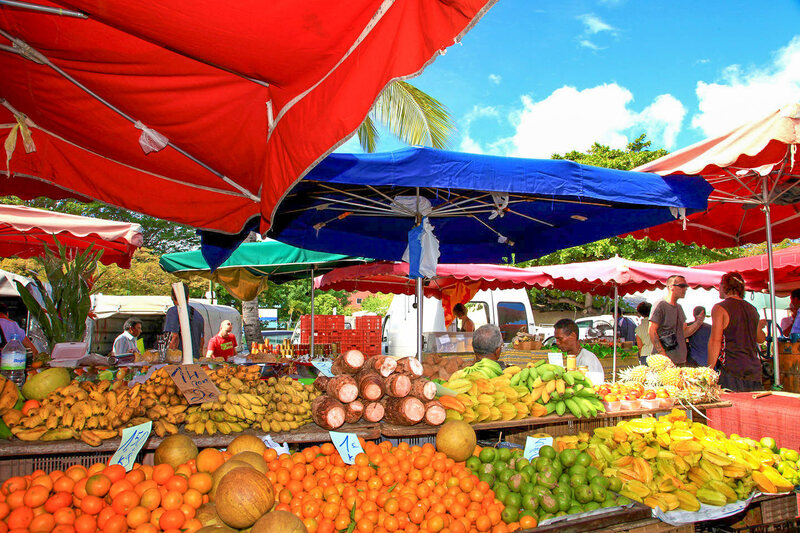 Visit the island of Reunion, it is also a tour through the typical markets to bring back lots of good local products! With that of Saint Pierre, the market of Saint Paul is one of the largest and most picturesque fairground markets on the island of Reunion. Located on the seafront, it is open from Friday morning until Saturday noon. You’ll find countless fruit and vegetable stalls, local crafts, spices, clothes and plenty of other local produce. It is a very colorful market, fragrant, all in a good-natured atmosphere, very lively and warm. It’s a pleasure to walk there at least once during your stay, just to see, to do some shopping or to bring back some souvenirs. On market days, nearby car parks are always crowded. If you are driving, I advise you to park a little away in Saint Paul and go to the market on foot. 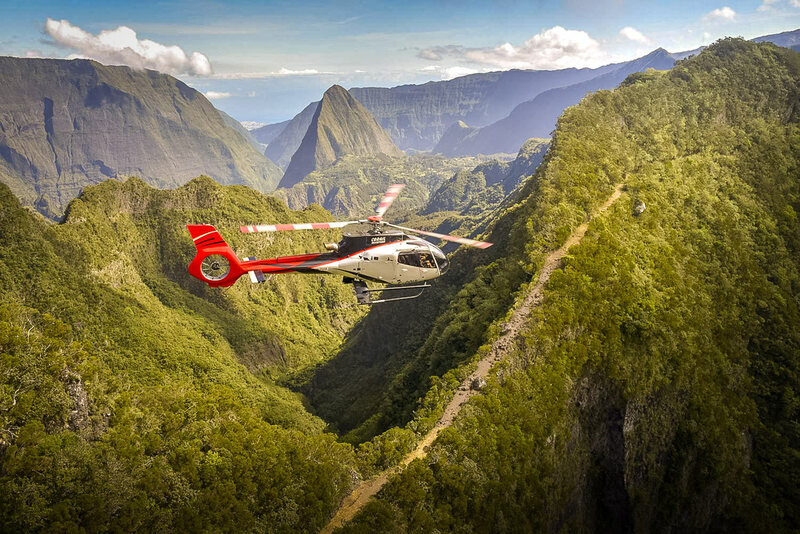 Visit Reunion Island by helicopter is something that is not necessarily accessible to everyone, but it may be worth it to offer. And yes, the helicopter tour is one of the key attractions in Reunion as it allows you to discover the island with a different perspective! Several tours are offered to tourists, with prices ranging from 200 to 400 euros on average per person. If you have the chance to do so, you can admire the island from above, fly over the ravines, bypass the waterfalls, have a spectacular view of the 3 cirques, the lagoon, volcanoes and evolve in a decor worthy of Jurassic Park movies. In short, an extraordinary adventure that I recommend! This is an experience to do when you have, for example, little time to spend on the island, because it allows to have a superb overview of all sites in record time. To go on a trip on the island of Reunion, you will not have much choice, it will take the plane. Check rates now using our flight price comparison. It’s fast, easy, and it’s the insurance for you to pay the best price! And what did you plan to do in Reunion? What places of interest do you want to visit?